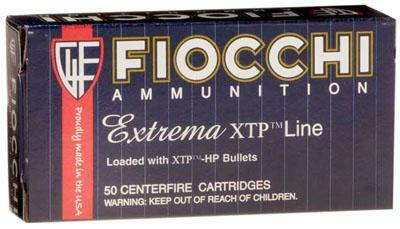 Fiocchi centerfire handgun ammunition is use by military and law enforcement agencies around the world. All Fiocchi handgun ammunition is brass cased and fully reloadable. These rounds use controlled expansion bullets that pack some exceptional downrange performance and unmatched ballistics. They introduce the world renowned Fiocchi nickel-plated brass cases and classic centerfire primers for an extreme shooting experience.